Dental implants have become the gold standard to replace missing or failing teeth. 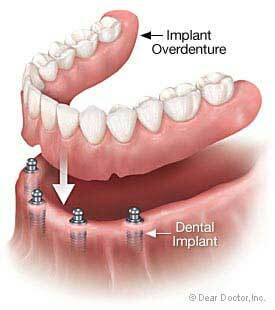 Unlike dentures, which can be unstable and uncomfortable, dental implants are securely anchored to the jawbone. You will be able to eat, speak, and laugh with confidence, while avoiding the sunken look that can develop from progressive jawbone loss in denture wearers. Yet with so many different dental implant options to choose from, you might feel somewhat overwhelmed and confused. Here is what you should know. For those missing a single tooth, a partial denture used to be the only option. Partial dentures can be uncomfortable, and the metal clasps may show. A single tooth dental implant uses a single biocompatible titanium implant to support a custom-crafted crown that blends with the surrounding teeth. If you are missing three or more teeth in a row, a traditional dental bridge is a possible solution. However, this requires removal of healthy tooth structure from the adjacent teeth, putting them at risk for fracture or decay. An implant supported bridge has a dental implant at each end, providing a secure base for the bridge that protects the neighboring teeth. If you are missing two teeth in a row, we can provide two individual single tooth implants. While traditional dentures rest on the gums (lower) or rely on a bulky plastic palate (upper), implant supported dentures are snugly attached to dental implants. This allows us to reduce or remove the palate on an upper denture, allowing you to taste food more completely, and prevents both upper and lower dentures from moving. The support provided by the dental implants also restores nearly all of your original bite strength, allowing you to chew tough steak and sticky candy with ease. In certain instances we can use just two dental implants to create a “snap on” denture that locks securely into place but is easy to remove for cleansing. If you prefer a fixed prosthesis that does not leave your mouth, we can strategically place a number of dental implants to support a full, fixed bridge of highly aesthetic and functional replacement teeth. The traditional dental implant process requires a healing period after the implants are placed, allowing them to osseointegrate with the jawbone before you receive the final restoration. This requires you to wear a temporary prosthesis for several weeks or months. Immediate load implants are a newer solution that allows you to avoid the temporary prosthesis. Lightweight but highly natural looking replacement teeth are attached on the same day as the implant procedure. You will then return in a few weeks or months for your final restoration. Although the interim teeth are not *quite* as desirable as the final teeth, they are far more comfortable, more aesthetic, and more functional than a temporary denture. Established in 1952, with two offices in Middlesex County, MA, Periodontal Associates is known as one of the leading periodontal offices in New England. We specialize in dental implants, bone regeneration, and other cutting-edge periodontal procedures. If you are in Middlesex County, and are ready to take the first steps towards restoring your function and smile, we invite you to call Periodontal Associates today at (508) 875-6185 (Framingham) or (617) 964-6185 (Newton Centre) to schedule a consultation.